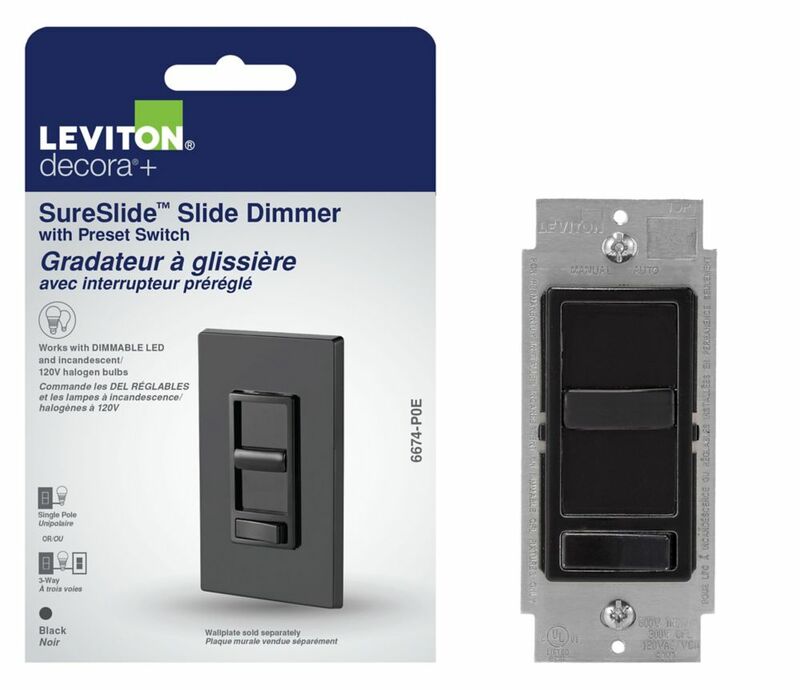 SureSlide Universal Slide Dimmer with Preset in Black Leviton Decora SureSlide<sup></sup> dimmers provide smooth, slide-action, full-range dimming for incandescent and dimmable LED and CFL lamps. Featuring a pre-set ON/OFF switch, this device allows the user to set the desired brightness level to operate automatically with the ON/OFF function. The dimmer is designed specifically for dimmable light-emitting diodes (LED) and dimmable compact fluorescent (CFL) lamps; it is also compatible for use with incandescent lamps. SureSlide Universal Slide Dimmer with Preset in Black is rated 4.6 out of 5 by 65. Rated 2 out of 5 by HomeDepotCustomer from led dimmer switch no better than legacy dimmer which had... led dimmer switch no better than legacy dimmer which had almost three times the wattage.